We’d love your help. 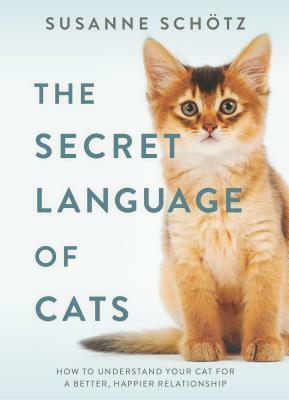 Let us know what’s wrong with this preview of The Secret Language of Cats by Susanne Schotz. Have you ever wondered what your cat is saying? Cats do not meow randomly, nor do they growl or hiss because they have nothing better to do. Cat sounds have a purpose, and they can carry important messages, whether for us or other cats. Susanne Schötz is hard at work on breaking the cat code. She is a professor at Lund University in Sweden, where a long-standing research pr Have you ever wondered what your cat is saying? Susanne Schötz is hard at work on breaking the cat code. She is a professor at Lund University in Sweden, where a long-standing research program is proving that cats do actually use vocal communication—with each other and with their human caretakers. Understanding the vocal strategies used in human-cat communication will have profound implications for how we communicate with our pets, and has the potential to improve the relationship between animals and humans within several fields, including animal therapy, veterinary medicine and animal sheltering. To ask other readers questions about The Secret Language of Cats, please sign up. Brilliant use of language and phonetics to describe cat sounds. I have had the pleasure of living with cats for most of my adult years. I have heard MANY sounds and agree with the author on what they mean. Now, Dusty, Bernadette and Holly grace me with their voices, antics and love. This book, while intense, is a 5 star winner for all cat fanciers! The author breaks the kitty communication code for the millions of us who live happily with feline companions. Now, we know precisely why our cats meow or growl or hiss or trill. A compelling and instructive read. Many thanks to NetGalley and Harlequin - Trade Publishing (U.S. & Canada) for the early read. Opinions are fully mine. I received this book free through a Goodreads giveaway. I requested this book because we have had 2 or more cats in the house for almost 30 years and I felt it would be interesting to learn more about the way they communicate. Our current cats, Angelo and Sandstorm, both "talk" frequently and very differently. This book improved my understanding of the vocalizations and prepared me to pay more attention to not only the sound, but the visual communication as well. Although written by a phonetician I received this book free through a Goodreads giveaway. This is a fun look at how cats communicate (with each other and with humans). It was fun comparing sounds to those that my cat makes. It also made me more conscious about how I interact with my cat (watching for his reaction and response). The copy I received from a goodreads giveaway was an uncorrected proof. This book spoke to my nerdy side along with my cat loving soul. While the text may prove a bit dry for some, I found it interesting to read about all the research that went into this book, especially with my most recent adoption of a cat with more vocal range of chirps, squeaks grunts and meows than any other I've ever lived with. Not only does the author cover the range of vocalizations, but I also enjoyed the stories about her own cats. I don't think this book is a perfect fit for everyone, bu This book spoke to my nerdy side along with my cat loving soul. While the text may prove a bit dry for some, I found it interesting to read about all the research that went into this book, especially with my most recent adoption of a cat with more vocal range of chirps, squeaks grunts and meows than any other I've ever lived with. Not only does the author cover the range of vocalizations, but I also enjoyed the stories about her own cats. I don't think this book is a perfect fit for everyone, but any science-loving cat aficionado would enjoy it as I did. Drawing upon her phonetician toolbox, in The Secret Language of Cats, Schötz explores and explains her scientific analysis of the noises her favoured felines make. Are these sounds considered language? Can we develop a sound-based dictionary and grammar to help derive meaning for what a cat may be attempting to convey? The answers to these questions and more are found inside the delightful read. I enjoyed Dr Schötz's ingenuity combining her academic research with her other interests. Her dedicat Drawing upon her phonetician toolbox, in The Secret Language of Cats, Schötz explores and explains her scientific analysis of the noises her favoured felines make. Are these sounds considered language? Can we develop a sound-based dictionary and grammar to help derive meaning for what a cat may be attempting to convey? The answers to these questions and more are found inside the delightful read. I enjoyed Dr Schötz's ingenuity combining her academic research with her other interests. Her dedication to the topic is apparent in the diligence and care she's taken to trying to figure out what that chirrup at a bird might mean. My Shadow cat has changed his communication methods over his time with me, and we are both pleased when we each communicate properly to the other. I think the understanding this book has provided me would have helped us to forge a common language much sooner in our relationship. This book is really fascinating. The idea of analyzing cat speech with phonetics is so interesting. Reading about the difference in tone and inflection, I’m really noticing the correlation with my own cats’ behavior. I also really love that links to the recordings the author used are available so you can really hear the things she discusses. I don’t know that the book has changed my communication with my own kitties, but it has certainly given me food for thought! 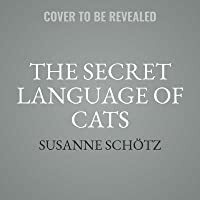 The Secret Language of Cats by Susanne Schotz is a free NetGalley ebook that I read in early November. Schotz is very elaborative about her relationship with her 5 cats and, oftentimes, the conversations they share with her. Reading this book is quite a lot like speaking with my catlady coworker, who dresses up her cats for holidays and speaks of them as members of the family with their own rich inner history. Not to say that I don’t love my own two cats dearly and am endeared by their quirks, bu The Secret Language of Cats by Susanne Schotz is a free NetGalley ebook that I read in early November. Thank you to Net Galley for a free eARC in exchange for an honest review. Initially, I did not know what to expect from this book. I was pleasantly surprised to find that the author leverages her knowledge as a phonetician to decipher cat language. I was truly fascinated with the book. I highly recommend this book for anyone who is looking for a scientific approach to how and why their cat acts/ talks and not just anecdotally. This is an interesting and well-researched book though perhaps a bit more serious than many would expect from the title. Schotz really DOES try to decipher the secret language of cats. Alas, my cat is aggravatingly silent though he definitely has his way of communicating with me without sounds. I guess that's his own 'secret language'.